A LUNAR CHRONICLES PERSONALITY QUIZ! WHICH LUNAR CHRONICLES CHARACTER ARE YOU? Here is my personally designed personality quiz (just for fun, of course) to tell you which character you would be in Marissa Meyer’s Lunar Chronicles series! So which character do you think you’ll be? Are you more of a Cinder, a Scarlet, or a Cress? Or maybe even Kai or Thorne? Take the quiz and find out! So who did you get? Let me know!! Did you like who you paired up with or were you wishing for someone else? Do you identify with Cinder or are you more of a Scarlet? Update: Post originally coincided with pre-order giveaway for CRESS (book #3). Giveaway now closed. Want to find out more about the series? 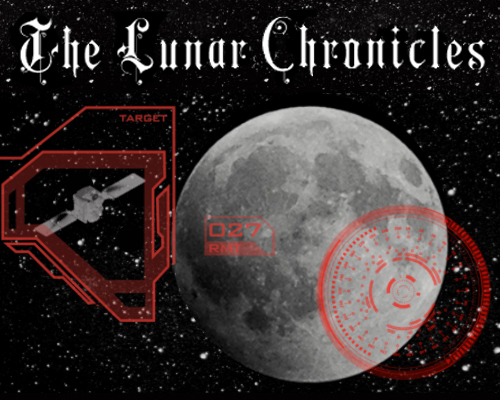 Visit some other Lunar Chronicles-themed posts on The Book Addict’s Guide for book reviews, general fangirling, and more! This entry was posted in Books, Dystopian, Fantasy, YA and tagged Books, Cinder, Cress, Marissa Meyer, Quiz, Scarlet, The Lunar Chronicles on December 22, 2013 by Brittany. I love quizzes, so I think this is so cool! YAY!! I’m so excited and happy that you got Cress too! 🙂 Very fun! Thanks for taking the quiz & sharing!! I’ve not read this series – yet – but this is a great idea for a post! How did you make the quiz? This was so fun! It feels sort of like the era of Myspace and internet quizzes when I use to spend HOURS taking personality tests for all my favorite book & TV characters. I am Scarlet! That makes me happier that it should, probably, but hey, Scarlet is AWESOME! Haha YES!! I used to take these ALL the time! So glad you had fun with it and YAY for Scarlet!!! I haven’t read Scarlet yet but this quiz sounded so fun I couldn’t resist! I got Iko which I was really excited about because she was my favourite character from Cinder. And when she… GAH, that was so sad. I got Scarlet, but MBTI personality wise I am Cinder (INFP). I am TOTALLY okay being Iko! Umm, girl, you made this yourself?? THAT IS SO AWESOME! I got Captain Thorne. I don’t know much about him (I’ve only read Cinder), but from the short description, I like it! Fantastic job with this! I’ve not yet read the series (have Cinder at home! ), so I can honestly say I’m Dr. Erland…whoever that it. Great fun quiz, Brittany. I loved this series and can’t wait for the next one. I got Scarlet. Thanks for making this fun quiz. I got Scarlet! Seriously can’t wait to read Cress! Thanks for the quiz. It was fun. Some of the answers made me chuckle. I’m Scarlet! Thanks again! Whee! I got Scarlet as well! I love this!!! So fun. Seriously for a minute there, I thought I was going to get Queen Levana… because I answered that I always get what I want and that I’m good at getting people to do what I want. I was like great, I’m going to be the villain, what does that say about me?? Lol. Good thing I got Scarlet! *wipes brow* Thanks for the giveaway! And for putting together this awesome quiz! This was so much FUN! Yay for a creative post! I got Scarlet! I got Scarlett, she is really badass! I got Cress! Which makes sense… Except for the whiz with technology part. Technology hates me. I got Prince Kai and I wasn’t expecting him. Ha ha. I got Cinder…I feel like no one else has? I am very happy with getting her though, one of my favorite characters!!! Also, this is a pretty dang neat quiz! I think you should do more of ’em! :3 I am sooooo excited for Cress too! I’M SCARLET TOO! Oh my stars! This quiz is too much fun! I got Wolf… I guess I’m the small percentage out of everyone. Aww I love this! I can’t believe you made this yourself. This was so much fun! Loved the quiz. I got Cinder. Love the series as well can’t wait for Fairest and Winter to come out. Love the quiz, I got Cinder. Can’t wait for Fairest and Winter to come out next year, just read Cress so good. I’m not sure what went wrong, but my quiz won’t let me continue to question two. :(. I was really looking forward to the quiz, too. I bet it would’ve been awesome. Yay! I got Cinder, just the one that I wanted! But the other characters are pretty cool too and I will been ok if I got any other characters. I got Iko! I really love Iko she’s so fun! I wish I would have gotten Scarlet though, she’s my favourite! I GOT IKO!!! I LOVE IKO SOOO MUCH< SHE IS SOO AWESOME! THANK YOU SOOOOOO MUCH FOR MAKING THIS QUIZ! I LOVED IT! Hahahahaha, I got Iko! I love it. My book club is reading Cinder this month, and I’m so excited to see so many people getting introduced to the Lunar Chronicles world! I’m having so much fun re-reading it, especially since I didn’t do the Lunar Chronicles re-read prior to Winter’s release. I love this quiz! I got my favorite character, Levana lol. I am not evil… but i guess I am like Levana! I love this series! My favorite books EVER! Great site!